A new release of the XD program for X-ray Charge Density Analysis is planned for the spring of 2003. It will include the TOPXD code as an integral component and eliminate a number of bugs in the old version that have been identified. It will use the new relativistic wave functions for atoms and ions, and thus be suitable for analysis of compounds containing relatively heavy elements. i) initiate those new in the field of accurate X-ray diffraction in the main methodologies of X-ray Charge Density Analysis, ranging from multipolar modeling to the application of the Quantum Theory of Atoms in Molecules. ii) train more experienced scientists in the use of the new release of the XD programming package. A limited number of lectures on the theoretical and experimental aspects of charge density determination by X-ray diffraction will be provided and a series of hands-on tutorial sessions for the program XD will be scheduled. To allow maximal instructor-student interaction a maximum of 40 participants is envisioned. 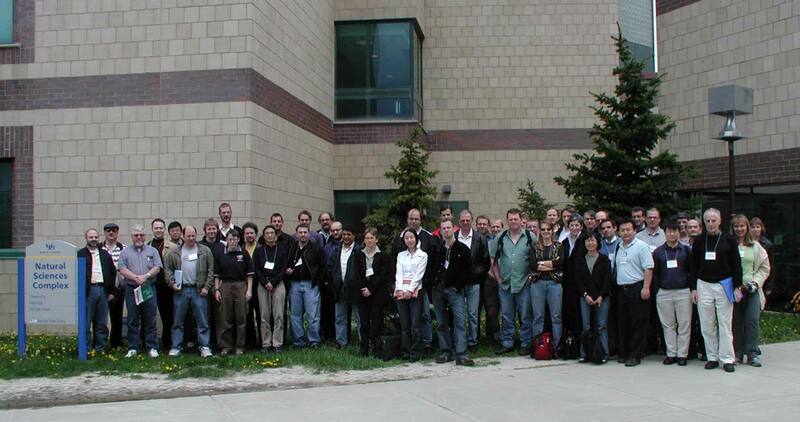 The workshop is planned for the May 12-17, 2003 at the Chemistry Department, State University of New York, Buffalo, USA. Specific facilities at the University's supercomputer center (http://www.ccr.buffalo.edu/) will be reserved for exclusive use of the participants. The workshop is cosponsored by the International Union of Crystallography, Bruker-AXS, and by the Center for Computational Research at the University and supported by the Office of the Vice President for Research at the State University of New York at Buffalo. Support for participation of young scientists is being provided by the International Union of Crystallography. Registration will be $50 for students and $100 for other participants. A limited number of fellowships for travel expenses will be available for young scientists. Lodging costs will be approximately $36- per night for a room with two beds (no extra charge for double occupancy), to be paid before April 5. Prospective participants are requested to express their interest by sending an e-mail to Irina Novozhilova at chem9988@acsu.buffalo.edu. In case the workshop is oversubscribed, priority will be given to early applicants, so please let us know about your interest as soon as possible.